This month, since it is the year end, I’m going to take a bit of time to look back and reflect. It’s hard to believe it’s already been a year since our family embarked on our transition to a plant-based diet. 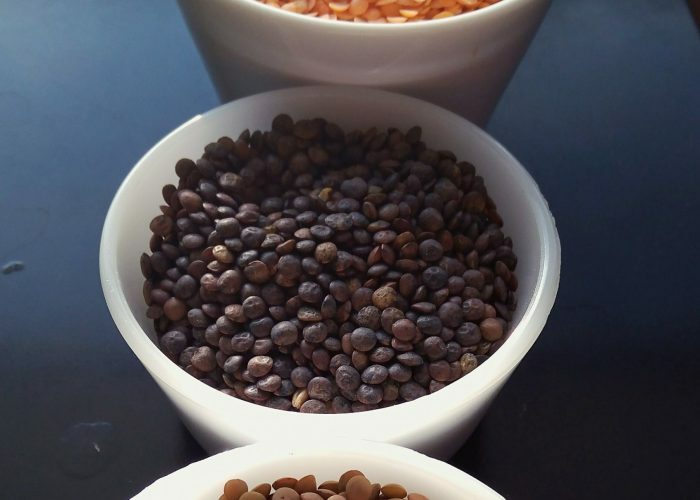 At first, the prospect seemed daunting because I was new to using plant-based foods such as chia seeds, flax seeds, coconut oil, various beans, split peas and lentils. I also didn’t have many plant-based recipes under my belt. Well, now a year later? I have emerged much healthier and much more confident in the kitchen now. After a year of experimentation, I now have an arsenal of loved plant-based dishes to rotate in our family meals. These include 3 pasta sauces, 2 taco fillings, 2 soups, 3 chili slow cooker recipes, at least 3 side dishes, numerous baked desserts and lots of self-created recipes! This repertoire would not have been possible if it were not for the endless supply of great plant-based whole food recipes from the Internet to try from lots of talented chefs and kitchen enthusiasts (thank you!). The other fun part was learning new things about my significant other in the process. First, he had quite keen insight to buy me a Ninja food processor about 3 years ago for my birthday. Although I never touched it for the first 2 years, now I am using it a few times a week to make plant-based recipes! Secondly, I never expected him to become the family expert nut and seed butter maker. His specialties are freshly ground peanut butter, cashew nut butter and sesame seed butter. Thirdly, I never knew how much my husband liked pasta and pasta sauces, until he recently told me that his favorite packed lunches of the week were the pasta and pasta sauce combos I had prepared. Who knew? I’ve learned a lot about myself too in the process. For example, I realize that I enjoy trying out new recipes and finding ones the whole family enjoys. When my friends and relatives visit from out of town, I enjoy giving them a plant-based culinary experience over the few days they are here. They often leave with a positive experience of new tastes and textures (still working on my in-laws…). I also now enjoy photographing food…just check my Instagram account! Some things stay the same though. My husband still has a sweet tooth (and my oldest daughter too)…just that now I try to make healthier versions of favorites (like the cashew-sesame snaps!). It has truly been an exciting journey so far. I’m continuing to learn more about the nutritional aspects of being on a whole foods plant-based diet, and key nutrients to be aware of for adults and children. I hope to share some of this knowledge I’ve gleaned and more healthy plant-based recipes in the New Year! I’m looking forward to another exciting year ahead! Happy New Year!